In 2014 the award was given to Rick Buettner who the Committee felt embodied everything the Society aims to achieve in its objects within the Constitution. Rick has had a long-time interest in archaeology and has put this into practice, first by helping others with their projects, geophysics with John Oswin, undertaking the Society’s Archaeological Training Course, attending lectures and embarking on his own project, with help from John Oswin and others, with fantastic results. 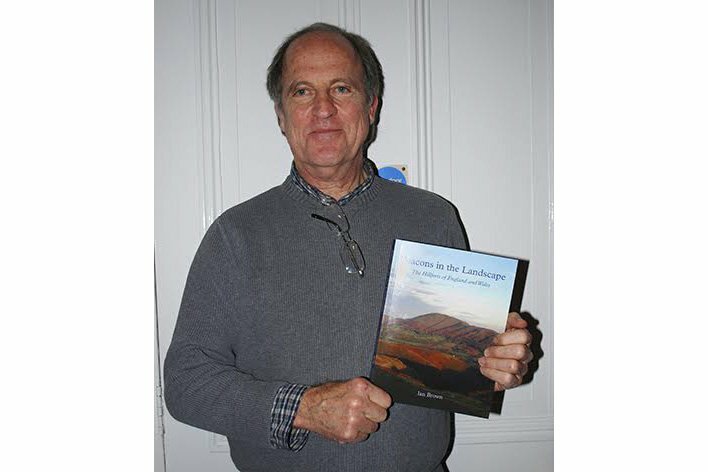 Again the Committee was unanimous and the award was given to Rick for his exceptional work on the Little Solsbury project and the acclaimed report.Congratulations to Rick, who is pictured with his award, the book by Ian Brown ‘Beacons in the Landscape: the Hillforts of England and Wales’.